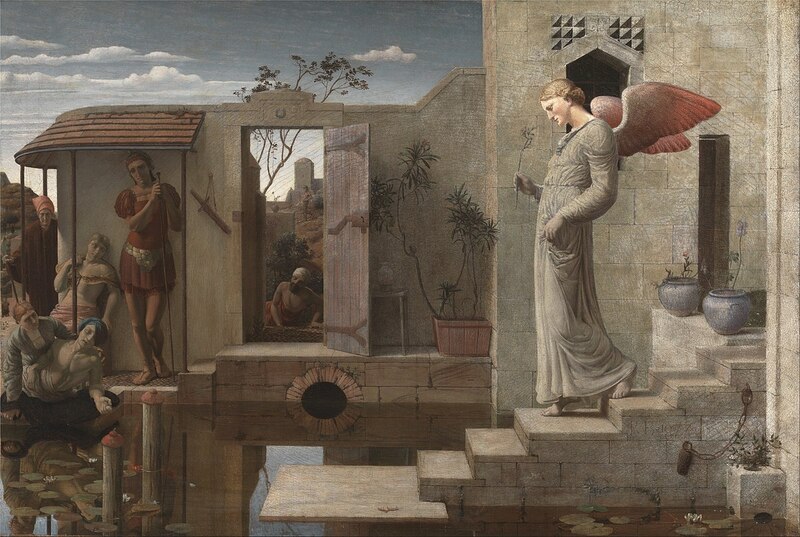 The Pool of Bethesda, 1877, oil on canvas by British artist Robert Bateman (1836–1889). Wikimedia Commons. Wilder made these comments in the foreword to his 1928 collection, The Angel That Troubled the Waters and Other Plays. “This book is what is left of one of these projects,” he admitted. The title was to have been Three-Minute Plays for Three Persons, and he had recently unearthed “one of my early tables of contents for it, written in the flyleaves of a First Year Algebra. Quadratics in those days could be supported only with the help of a rich marginal commentary.” Over the previous fifteen years, Wilder had written about forty such playlets, having “discovered a literary form that satisfied my passion for compression.” Wilder selected sixteen of them for the book; they were designed more to be read than performed, although several of them have been staged at various times during the last century. 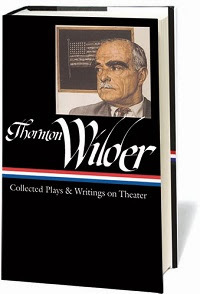 The book went on to sell over 10,000 copies, which is remarkable for a book of plays—especially considering it was a full decade before Wilder made his Broadway debut with Our Town. The playlet depicts a visitor to the pool who must suffer in order to heal others—a theme readers will encounter again and again in Wilder’s writings. The Pool.— A vast gray hall with a hole in the ceiling open to the sky. Broad stone steps lead up from the water on its four sides. . . . If you don't see the full selection below, click here (PDF) or click here (Google Docs) to read it—free!